Extension of probation period for Navalny in Yves Rocher case is lawful – court | Russian Legal Information Agency (RAPSI). MOSCOW, August 29 (RAPSI, Yevgeniya Sokolova) – The Moscow City Court has ruled that the probation term of opposition politician Alexey Navalny for another year in the Yves Rocher embezzlement case, RAPSI correspondent reports from the courtroom on Tuesday. The court dismissed an appellation lodged by the defense and upheld the decision of a lower court. Earlier, the Simonovsky District Court of Moscow granted a request of the Federal Penitentiary Service to extend the probation noting that Navalny repeatedly violated administrative legislation during his probation term. 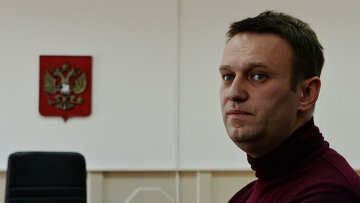 In particular, a representative of the Service noted that Navalny failed to meet his obligation to be registered at a local penitentiary inspection office on time. Navalny himself argued against the extension, saying that previously courts dismissed similar motions. According to Navalny, the Service’s request sought to obstruct his participation in elections. Moreover, Alexey Navalny was found guilty of embezzling 16 million rubles from the Kirovles timber company. He received a 5-year suspended sentence in this case. Being convicted the opposition politician was repeatedly subjected to administrative liability for organizing an unauthorized rally in Moscow on March 26, providing resistance to police and obstructing the order or procedure of holding a rally on June 12. 17:40 29/08/2017 The Moscow City Court has ruled that the probation term of opposition politician Alexey Navalny for another year in the Yves Rocher embezzlement case.